Morag Murray works for the secret government organization responsible for making sure the apocalypse goes as smoothly and as quietly as possible. In her first week on the job, Morag has to hunt down a man-eating starfish, solve a supernatural murder, and, if she's got time, prevent her own inevitable death. The end is nigh! Ish. 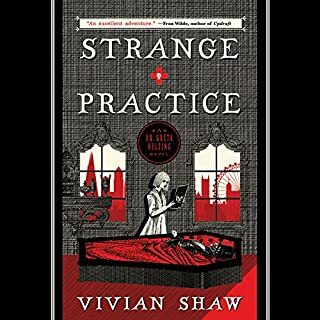 Dr. Greta Helsing has inherited the family's highly specialized and highly peculiar medical practice. She treats the undead for a host of ills - vocal strain in banshees, arthritis in barrow-wights, and entropy in mummies. It's a quiet, supernatural-adjacent life until a sect of murderous monks emerges, killing human and undead Londoners alike. As terror takes hold of the city, Greta must use her unusual skills to stop the cult if she hopes to save her practice - and her life. 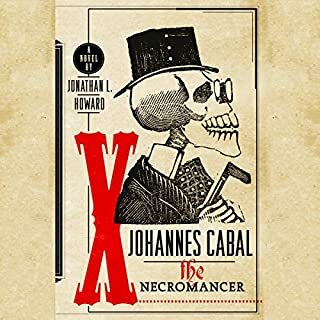 Johannes Cabal, a brilliant scientist and notorious snob, is single-mindedly obsessed in heart and soul with raising the dead. Well, perhaps not soul.... He hastily sold his years ago in order to learn the laws of necromancy. But now, tormented by a dark secret, he travels to the fiery pits of Hell to retrieve it. Satan, who is incredibly bored these days, proposes a little wager: Johannes has one year to persuade 100 people to sign over their souls, or he will be damned forever. A magical serial killer is on the loose, and gelatinous, otherworldly creatures are infesting the English countryside. Which is making life for the Ministry of Occultism difficult, because magic is supposed to be their best kept secret. After centuries in the shadows, the Ministry is forced to unmask, exposing the country's magical history - and magical citizens - to a brave new world of social media, government scrutiny, and public relations. Travel with Steve, doomed for eternity to serve as hell’s Mr. Fixit, on a wild ride through the circles of hell in this best-selling, humorous fantasy series. Daniel Carter used to be a homicide detective, but his last case - the hunt for a serial killer - went wrong in strange ways and soured the job for him. Now he's a private investigator trying to live a quiet life. Strangeness, however, has not finished with him. First, he inherits a bookstore in Providence from someone he's never heard of, along with an indignant bookseller who doesn't want a new boss. A mistakes that worked out in my favor. they just keep getting better! 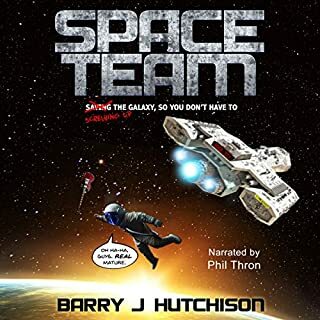 Audiobook was provided for review by the publisher. Please find this complete review and many others at my review blog. I had two laughs - "a long search for a short medium and, "where am i and what hit me". There are still too many times when the author drags out the self-doubts and stupidity of Andy. I still had to stop listening several times because it was so annoying. This book is an improvement over #3 but not as well written as book #1. For the life of me I cannot understand why everyone rates these so high. The performance is consistently great by Tim Campbell, who deserves a better book to read. I'm throwing in the towel on this series and won't buy anymore if they come out. I have come to look forward to each new book! Wonderful fun !the inspector wins your heart the storylines are entertains and I always start reading or listening until quite finished. Look forward to the next please soon! Narration is perfect ! Very much enjoyed the listen.i highly recommend the series! I hope there will be more! The narrator Tim Campbell was the perfect match, his contribution was phenomenal. Please continue! I wish there were a little more about the world Hobbes and Andy occupy. But in spite of this, the series remains enjoyable. I must say that laughing aloud on buses and in doctors waiting room has earned me a few looks. Andy's character is developing. I like the flash backs to his childhood and upbringing. They give a perspective of his low self-esteem and lack of confidence. His is a uphill battle. He's still doing stupid things with the best of intentions. Glad to see he's occasionally takes charge in a few situations. I am glad to see how Hobbes continues to use the least amount of force. I'm remaining very curious about his upbringing and early life. I'd like to see more of Mrs Goodfellow. One of my all time favs! I've read them all twice waiting for more! Addictive, funny and twisty mysteries featuring an awesome cast of characters, both human and inhuman! Love the writing and the reader brings it to life. I can only dream of the day the next one comes out. 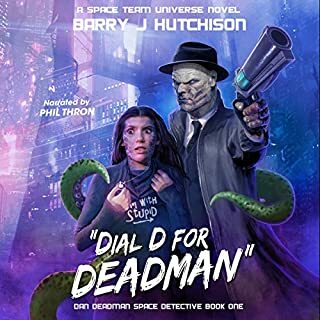 If you like Rex Stout, Terry Pratchett and Sherlock Holmes, this series more than satisfies and I hope the author is as prolific. The writing style really lends itself to audio format. Great characters and a lot of fun. Very well written. 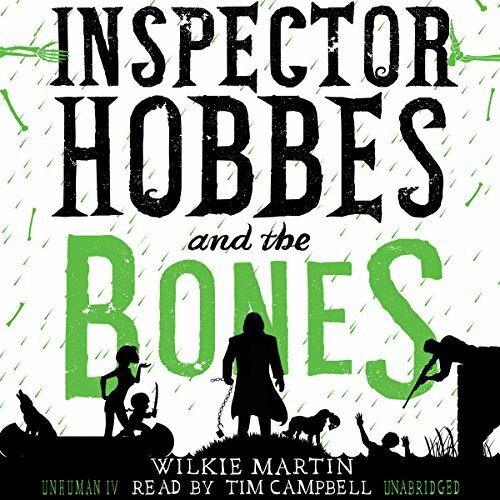 I’ve listened to all 4 of Inspector Hobbs books by Wilkie Martin. I didn’t think I would like them as they are not my usual read. I was pleasantly surprised. They are sort of crime novels with lots of slapstick comedy. Set in a small Cotswold town, Inspector Hobbes Books (Inspector Hobbs and the Blood, The Curse, The Gold Diggers and The Bones) are fast-paced comedy, mystery and fantasy books about the adventures of Andy, an incompetent reporter. 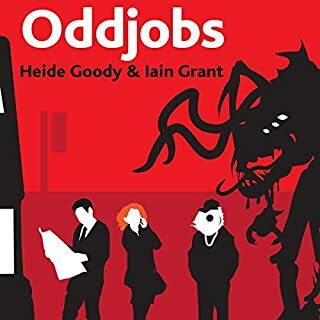 Andy gets sacked from his job as he is no good at it, his flat catches fire the same night and he is rescued by Hobbs and ends up staying in Inspector Hobb’s spare room. Contending with murder, suicide, and robbery, as well as Hobbes's weirdness, is the just the start; he must also get to grips with Mrs. Goodfellow, Hobbes's eccentric old housekeeper who teaches marital arts and who’s wonderful cooking, he feels is the best in the world, plus a huge dog named Dregs rescued by Hobbs. The three of them solve various crimes together (well Hobbs does), Andy is a bit of an idiot and very accident prone which makes for some funny slapstick scenes. He meets some of Hobb’s friends, a Troll, a Vampire, a Dwarf, a Warewolf who act more human than their lineage expects of them, together with a very large pub landlord with a bad temper, who become Andy's friends as well. A great listen and a good laugh. Brilliantly narrated by Tim Campbell who does a very good job of all the different voices. Listen to all four in three days. Amusing and made me laugh out loud . I reckon this might be the best so far. I genuinely enjoy these books, not too hard on the brain but just weird enough to satisfy. Entertaining semi super natural crime story I have been listening to whilst commuting. I am so intrigued by Mrs Goodfellow. loved all four of these books, I do hope there will be more of them. 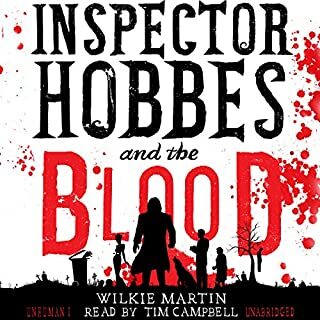 Tim Campbell is a superb narrator and Willie Martin the author is just brilliant. Fantastic writing, characters have such depth and so charming. Narration was perfect.